Sometimes lifting is really, really simple. Sure it can get a little complicated—especially as you advance—but the basics never change. Want to get strong? Lift something heavy a bunch of times. Want to get stronger? Lift something heavier a bunch of times. Your body adapts to the demands it experiences. This is what&apos;s known in training and rehab circles as the "specific adaptations to imposed demands" or SAID principle. find a way to lift it more times than you think you can? Don&apos;t worry, this isn&apos;t going to be another article about forced reps and other adventures beyond failure. On the contrary, once you get the hang of the technique known as "cluster sets," you&apos;ll get stronger using heavy weights without forced reps coming into the equation. In a cluster set, you utilize intraset rest periods to perform more reps than you would normally be able to. Unlike a standard rest-pause set, however, you won&apos;t perform reps to exhaustion or failure first—quite the opposite, in fact. 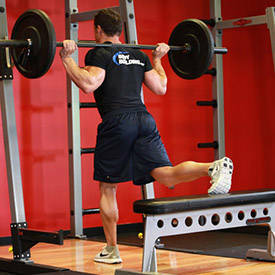 During a cluster set, you perform a certain number of reps, rest, and then repeat the routine until the set is over. 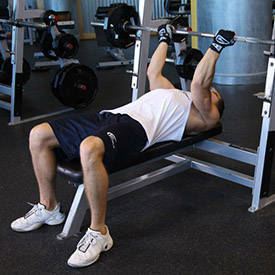 During a cluster set, you perform a certain number of reps, rest, and then repeat the routine until the set is over. Let&apos;s use that 4-rep max as an example. Using the cluster method, you would perform 5 reps with it per set, one rep at a time, with 20 seconds of rest between reps. You&apos;re essentially performing multiple mini-sets within each cluster. Programming clusters can be a bit tricky. 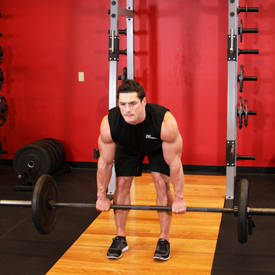 You need to use a load heavy enough to impose a significant demand and promote strength, but not so heavy as to overwhelm the body and disallow the goal number of reps. You also need to perform enough total reps to yield better results than you could get with a standard set, but still avoid failure. For these reasons clusters are best used with a load of at least 85 percent of your one-rep max. I realize this can make using cluster training seem like a daunting task, but the solution is all in the planning. This table isn&apos;t set in stone, but use it as your starting point when putting together a cluster-training program. 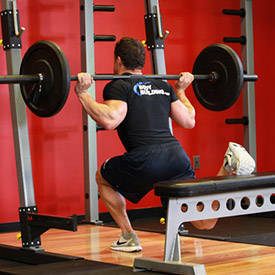 Keep in mind that the primary goal of cluster training is to improve strength and power. Sure, you might gain some muscle, but don&apos;t treat this like traditional bodybuilding training. On the contrary, you want to avoid failure in order to get all of the reps done in a smooth and explosive fashion. But make no mistake: Cluster training is still a very demanding method. 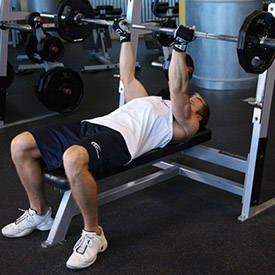 Think about it: It&apos;s typical to perform as many as 20 reps with a load of 90 percent of your one-rep max. That&apos;s a lot of work! Because the weights are so heavy, cluster training shouldn&apos;t be utilized for more than a few strength-oriented movements per training cycle. 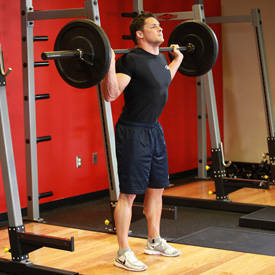 In the program below, clusters are reserved for one upper-body and one lower-body strength movement only. Using them for more than this can compromise your results and increase the risk of injuries. Now that some ground rules have been established, use cluster training to boost your squat and bench in a four-day-per-week program over the course of four weeks. 3 sets of (4x2) reps, 20 sec., 85%, rest 3 min. 3 sets of 20 reps, rest 60 sec. 3 sets of 30 reps, rest 60 sec. 3 sets of 8-10 reps, rest 30 sec. 4 sets of 5 reps, rest 60 sec. 4 set of 5 reps, rest 2 min. 3 reps of 8-10 reps with 3-sec. eccentric, rest 30 sec. 3 sets of 12-15 reps, rest 30 sec. 3 sets of 10 reps, rest 60 sec. 3 sets of 15 reps, rest 20 sec. 3 sets of 12-15 reps, rest 20 sec. 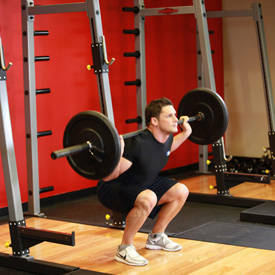 4 sets of (4x2) reps, 20 sec., 85%, rest 3 min. 5 sets of 5 reps, rest 60 sec. 5 set of 5 reps, rest 2 min. If you can&apos;t use weight, just perform as many reps as possible. 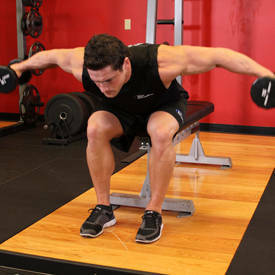 4 reps of 8-10 reps with 3-sec. eccentric, rest 30 sec. 5 sets of 5 reps, rest 90 sec. 4 sets of 20 reps, rest 20 sec. 4 sets of 12-15 reps, rest 20 sec. 4 sets of (5x1) reps, 25 sec., 90%, rest 3 min. 3 sets of 50 reps, rest 60 sec. 3 reps of 8 reps with 3-sec. eccentric, rest 30 sec. 3 sets of 10-12 reps, rest 30 sec. 3 sets of 15-20 reps, rest 20 sec. 3 sets of 10 reps, rest 20 sec. 3 sets of 5 reps, rest 60 sec. 3 set of 5 reps, rest 2 min. 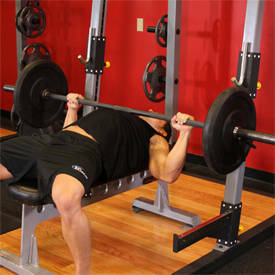 What this means is that you will perform 4 mini-sets of 2 reps, resting 20 seconds between each. 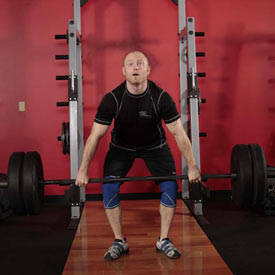 That&apos;s one cluster, and you&apos;ll perform 3 total cluster sets using 85 percent of yor one-rep max. Rest at least 3 minutes between each complete cluster set. If you only know your max based off ideal conditions, try using 90-95 percent of that as the basis for this program. Used properly, cluster training is one of the most effective methods out there for increasing strength. While it isn&apos;t the best option for hypertrophy, it can definitely lay the framework for impressive muscle gains when followed up with a higher volume program. Sleep big, place a major emphasis on recovery, and get adequate calories and protein. Given the focus on low reps and heavy weight, supplementing with creatine during this program is a great choice. 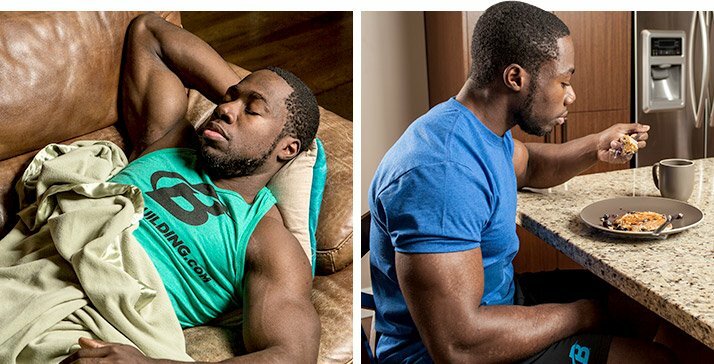 Sleep big, place a major emphasis on recovery, and get adequate calories and protein. This type of training can hit your central nervous system hard, so plan ahead and don&apos;t let exhaustion creep up on you. Then, when this four-week phase is concluded, considering following it up with a higher-volume phase such as my pre-exhaust hypertrophy program to piggyback off of your new strength gains and turn them into muscle.